Our starter kit has everything you need to create a perfect base. This is a great way to start your Livinia mineral makeup experience. 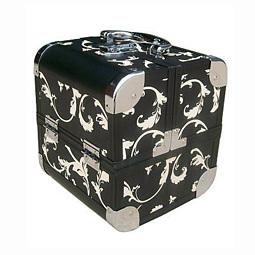 About the case: Our stunning make up cases are of high quality and are made of aluminium, wood and pvc. They have eva insulate lining inside to keep your make up cool. Shades: We have a choice of 5 standard kits or if you wish to substitute different shades please let us know in the 'Additional information' section at checkout. The Starter Kit is not available on Bartercard.